Rinse and clean your mouth and scrape your tongue. Drink a glass of water. Put your mind to your body; feel and respect your limits, flex you body doing a few yoga Sun Salutes or simply bend softly to the left and then to the right, and forward a few times. Sit down comfortably with fresh air around you, and do the Pranayamas, or breathe in deeply, hold the air in, and breathe out by relaxing your muscles, hold, breath in and do that 3 times. Allow yourself to float into meditation, let everything that comes to you come, don’t try to ‘let go’ or quiet your mind, but also don’t try to start a conversation in your head, don’t try anything, just observe, be and relax. Now you deserve an Olive Retreat breakfast with loads of protein and multivitamins. 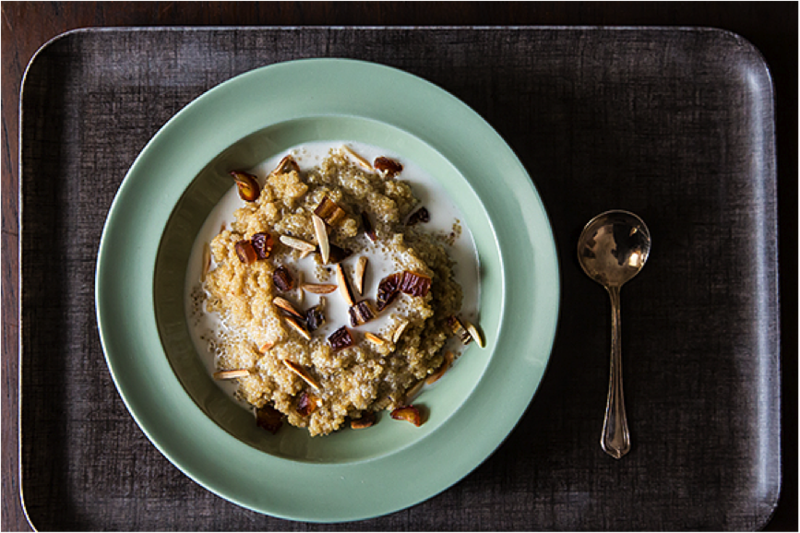 At Olive Retreat we make many different porridges in lots of different variations. We like to mix our grains (we explain why further on) also we like to use different types of milks BUT not the kind of milk you are thinking of! Almond, soy, coconut and hazelnut milk are some of many options. What you choose to top your porridge off with is also up to your own taste. Frozen berries, fresh fruit, dried fruit, nuts and seeds are to name a few! Rinse quinoa and buckwheat using a sieve until the water runs clear. Put it in a pan and bring the quinoa and buckwheat to a boil for a few minutes. Take off the stove and rinse again we do this to get rid of the bitter taste that the grains have. Put the buckwheat and quinoa back in the pan and add some of the soy or almond milk, agave syrup, sea salt, cinnamon and water. Reduce heat to a simmer. Let simmer until quinoa & buckwheat are fluffy and all liquid has absorbed (about 15-20 minutes). Turn off heat and fluff gently with a fork. Remove cinnamon stick. Quickly, before it gets cold, divide into bowls. Top each with about 2 tablespoons of soy/almond milk, along with some almond slivers and a sprinkle of dates, if you want that extra sweetness! At the Retreat we use different types of grains/herbs/seeds for different types of porridge. Examples of these are quinoa, millet, rice, amaranth, chia etc. The choices are endless! As long as you bear in mind to always combine the grains (see text on Wheat/Grains). Mid morning, if you are sitting still for a while, it is time to show love to yourself with a walk. 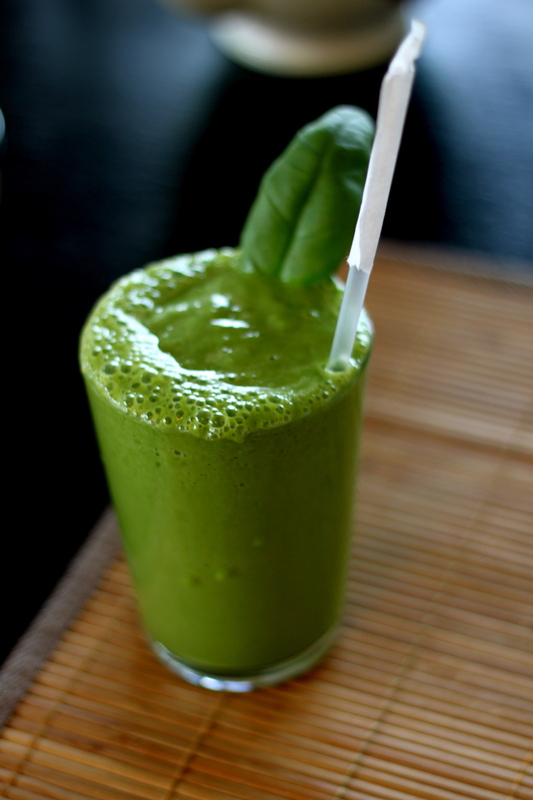 If you are hungry you can do an energizing green drink, add some vegan protein if you need it, maybe bring it from home already made in the morning; see the blog from February 5th for inspiration. When you meet people through out the day use the meetings to detox yourself by being kind. On your way to work, at work, on the phone, in the supermarket, to strangers and lovers, be kind for the only purpose to be extra kind, and notice what it does to you and what the respond is back to you. Remember that it is for yourself that you do it. Corn Pasta – The yellower the better! Lets make the parmesan first! Put the hazelnuts, chili (if it’s the little dry ones, one should be enough) pinch of salt & pepper into a grinder. Grind it altogether until you get a light powder, voila! That’s your topping, set aside. For the sauce chop all your veg. Start of by frying your onions, leeks and garlic first until soft. Then add peppers, zuccini and cherry tomatoes, when they are nice and soft add tomato frito and salt & pepper to taste. When the sauce is evenly heated put to the side. In a big pan put water to boil for your pasta, the more water the better. When the water has boiled up add your corn pasta. As I mentioned before the yellower the better, if it is mixed with rice flour the pasta tends to be sticky which is not always nice! Corn pasta generally needs more time to boil and to be stirred so that it does not stick together. Take the pasta out when it still has a slight bite as it will continue to cook when you mix it with the sauce. Combine the pasta with the sauce and add fresh basil and the rocket or spinach right at the end and mix in carefully. 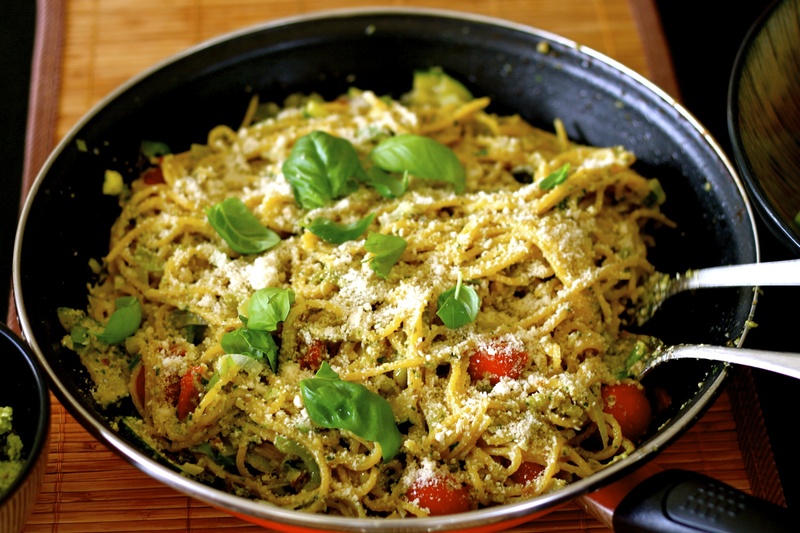 Serve it with some fresh basil leaves and your vegan parmesan. Serve this dish straight away! This is one of our clients favourite dishes, as it shows that you can still have comforting food but with a healthy twist! To be completely honest I prefer this pasta to any other. Its simple, comforting and delicious. Mid afternoon, if you get tired, respect it, don’t fight it. Depending on what we eat it can be caused by something that is heavy to digest, we don’t tolerate very well, or that the blood sugar drops as we kept it high with coffee and sweets in the morning. 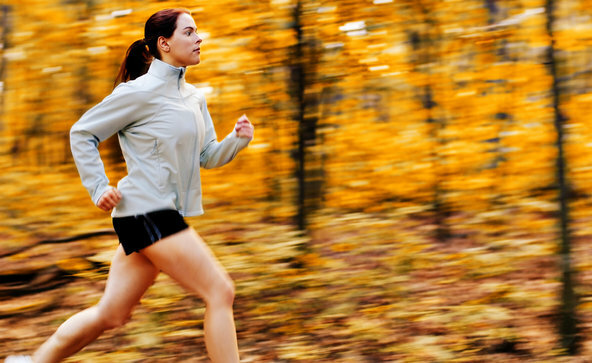 There are so many healthy ways to get energized that that doesn’t always imply eating something. Go out for a walk, even if it is just a 5 minute walk around the block, and breathe fresh air, or if you can’t leave your desk stand up and stretch like in the morning to get your body moving and bloodstream warming you up in this winter weather. If you still need an energy drink (apart from the water and herbal teas during the day) you can make a smoothie with apple carrot and ginger. Top it off with some spinach if you want the chlorophyl too. When you are done for the day, plan a 30-40 minutes exercise. The gym, aerobics, playing with your kids (I used to carry them as weights laying on the floor playing with them), basketball, running or whatever fits you is good. It is not about which kind of exercise it’s about doing it. Both aerobic and anaerobic. A light dinner is usually better than a light lunch as we digest better at noon (if we are not stressed! ), but very often we don’t eat the larger meal at noon because we don’t give us the time to do so. Feel what is good to for you. When you normally get back late and tired, it is a good idea to have your dinner planned before. If you like soup that is an excellent dinner, easy to digest and good to allow you to sleep well. If you need to loose weight it is perfect. I prefer mixed vegetable soup. Add pumpkinseeds, grains with beans or rice to get the protein. Chop the leek, pumpkin and peach. Start of by frying off the leek in a big pan until soft. Then add the chopped pumpkin,the bay leaf, turmeric, curry, salt and pepper. Cover with water and bring to a boil until the vegetables are nice and soft and right at the end add a splash of coconut milk. 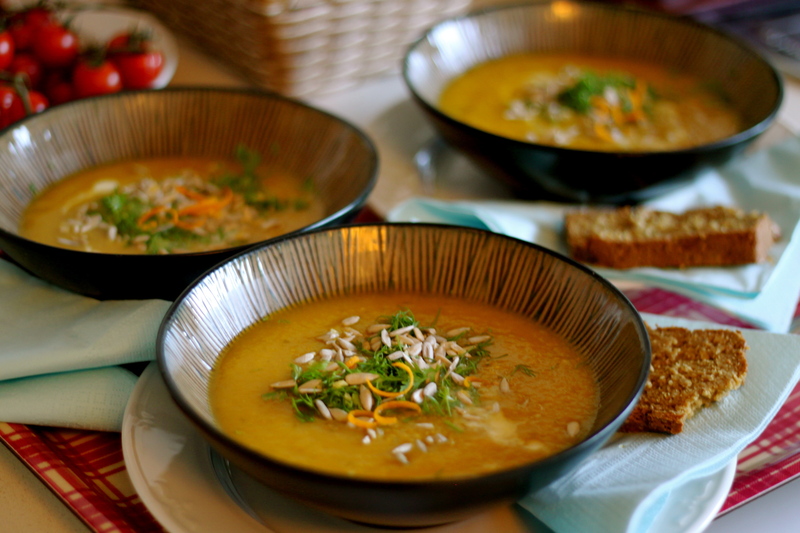 Blend the soup together, when serving top off with sunflower seeds, fresh coriander, orange zest and a pinch of sea salt. Make it easy to be healthy. Don’t leave eating to impulse or eating when you have no time to plan. We always keep pre-cooked grains and rice or beans so that we can easily chop up veggies and stir fry it quickly when kids, husbands, friends, or whoever is in a starving mood and needs food quickly. That is fast food! Feel when it is time for you to sleep, then allow yourself to go to bed. All you didn’t have time for that day can wait. Love yourself and take care of yourself as you would your child. 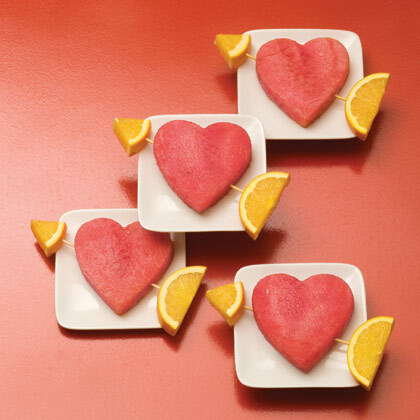 Have a loving Valentine’s Day!